Boadway, a 36-year veteran of Queen's University -- and one of the country's most sought after and respected public finance economists -- is tickled that he'll be at Rideau Hall alongside Weir to receive the Order of Canada, the country's highest civilian decoration. "He's a tremendous speaker for the sport," said Boadway, 66, who is clearly at the top of his game. Boadway will be invested as an Officer of the Order of Canada. The honour recognizes his "significant impact" on public policy through more than three decades of research, writing and consulting on federal transfer payments and the federal equalization policy. "I've been involved in researching this area, but also in the international context I've done a lot of work for international organizations and ... countries," Boadway said, "sort of looking at how to structure their fiscal systems, their federal systems, very much using Canada as a model. "Canada actually has, contrary to what people might think, quite a model system of federal-provincial arrangements that is sometimes advocated in other countries." This honour is different from Boadway's many academic achievements. "It is one of the highest (honours)," he said, noting that it recognizes lasting contribution to society, rather than any singular achievement. Boadway has consulted with officials in South Africa, Sweden, Japan and Iraq and with many international organizations, including the World Bank and the Organization for Economic Co-operation and Development. He's recently been to Dubai in the United Arab and Emirates and Cyprus, where public officials hope to learn from Canada's admired economic system of wealth redistribution and decentralization. "It's got a lot of integrity," said Boadway, who concedes it might be fair to label him a prosletyzer who travels the globe preaching the value of Canada's system. He concedes it's far from perfect and is often fraught with tensions and conflicts. "We've always got this tension sort of running horizontally in Canada," said Boadway, who now considers himself an adoptive Old Stone of Kingston. Born in Regina, Sask., he grew up in Moose Jaw and ended up studying at Royal Military College. After a prestigious Rhodes Scholarship to Oxford, he found himself posted to Kingston while completing his military service. 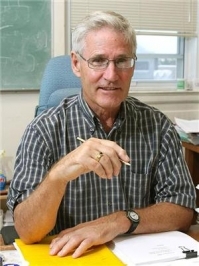 While at RMC in the economics department, he also completed a PhD thesis at Queen's. In 1973, he joined the university faculty. He currently holds the David Chadwick Smith chair in economics, a newly created five-year position that honours the former principal for whom it is named. Boadway has two sons and a Prince Edward Island-born wife, whose roots lure the family east for several months each year. The Order of Canada investiture ceremony begins at 10 a.m. EDT, Thursday, November 5th.